The Omaha Fire Department is partnering with The Salvation Army to provide meals for members of our community who are at-risk for hunger this season. People may drop off non-perishable food items at any Omaha fire station, which will have a “Holiday Donation Station” sign out front. Donations will be accepted from 9 A.M. to 5 P.M., 7 days a week through Dec. 23. Food items being sought include cereal, boxed dinners, boxed or bagged rice products, canned meat, canned vegetables, canned soups and fruits, pasta and cake and muffin mixes. Last minute shoppers, rejoice! 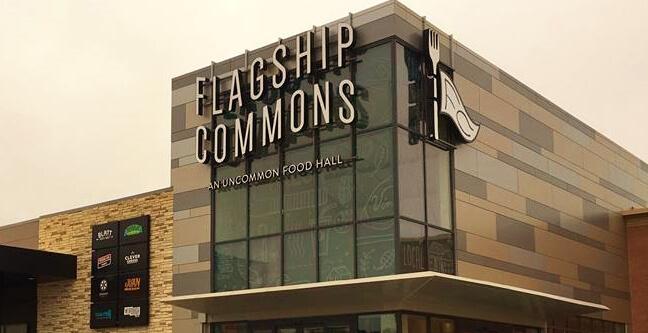 The long awaited Flagship Commons has set a tentative December 21 opening date. The innovative 21,000 square foot food venture will include Omaha favorites such as Amsterdam Falafel, Aromas Coffee, and Blatt Beer and Table. New names such as Weirdough, a by-the-slice pizzeria, Yum Roll by the creaters of Blue, Juan Taco, and Clever Greens salad station will make their Omaha debut alongside a full service bar and a foosball table. Krug Park will host first annual “Donut Shootout”, a competition where the winner is anyone lucky enough to attend. The February 13 event will feature bakeries from across the metro serving free donuts, which will be ranked and rated by YOU. Check out the events page at https://www.facebook.com/events/112581175779733/ for all of the details!